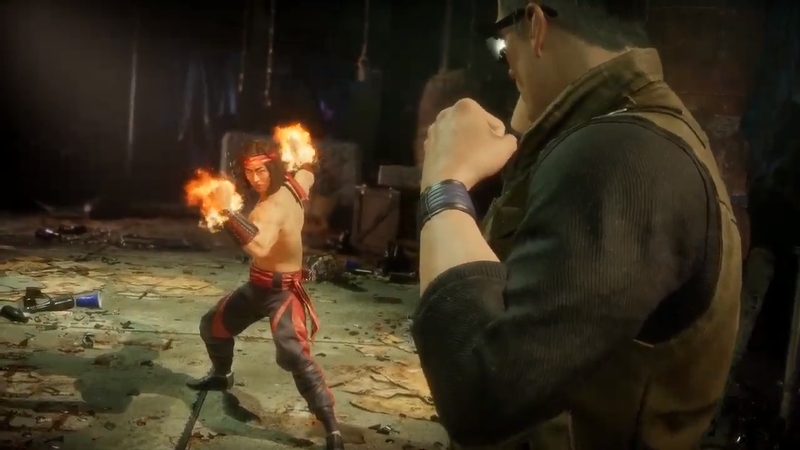 Wednesday's KombatKast revealed some more about the Mortal Kombat 11 versions of Liu Kang, Kung Lao, and Jax, while also showing their Fatalities for the first time. NetherRealm Studios took back to the online airwaves for the latest KombatKast live stream on Wednesday. The studio teased three new reveals for the upcoming Mortal Kombat 11. Those three characters are Liu Kang, Kung Lao, and Jax. Wait, what do you mean we already knew about Liu Kang, Kung Lao, and Jax? Yes, these are the three characters who were initially confirmed to be playable during Monday's PlayStation State of Play presentation. So what did the KombatKast show that was new? Well, they showed off each character's play styles, as well as their Fatal Blows and their Fatalities. Up above, you can see Liu Kang's Fatality. He pummels his opponent repeatedly with his fists of fury, eventually tenderizing him to the point that he starts to punch directly through his flesh. It all culminates with a fiery punch of doom that explodes the opponent in a burst of body parts and entrails. Liu Kang's playstyle is largely unchanged from previous Mortal Kombat games. The NetherRealm team purposely stuck to his Mortal Kombat II style as much as possible, particularly with his Kang Tang variant. Kung Lao has a multitude of classic moves, albeit with new animations. His teleport not only looks much cooler, but he can also either throw his opponent at the end of the animation or strike with an overhead spinning attack. He also has a variety of hat-based moves, with Kung Lao not only able to toss it around like in old-school MK games, but he can also orbit it around his opponent. He can even summon the spirit of his ancestor, the original Kung Lao, to power him up. Now that's cool! Kung Lao's Fatality sees him using his teleport to deadly effect, slicing his opponent in half. And for good measure, he makes sure to give him a haircut with his hat. Just a little off the top! Many of Jax Briggs' classic moves are back, too. He can channel his power into his heated arms, giving him a bit of a power boost. Those arms help out with Jax's slew of overheads and pugilistic combos. His Superman punch is no longer a special, but has been incorporated into his normal move list. And of course, his "Gotcha!" grab is back, allowing Jax to ragdoll his opponents and punch them repeatedly. He has a few other new command grabs at his disposal, including new air grabs and low grabs. Jax's Fatality sees him stick an explosive onto his opponent's back. As they fruitlessly try and get it off, Jax warms up his heated arms. The explosive will go off, at which point Jax will catch the incoming opponent with a clothesline that clean cuts them in half. That's a taste of what's coming in the final version of Mortal Kombat 11. And while these three aren't included in the Mortal Kombat 11 beta, that beta is going down right now. The beta is set to continue through the weekend and is still open for anyone who pre-orders the game. Mortal Kombat 11 is set to release on April 23 on PC, PlayStation 4, Xbox One, and Nintendo Switch.